On the Turquoise coast of Turkey, Fethiye is a district encompassing beaches, history and fundamentally the rich culture of Turkey. All tourists are welcomed with open arms from the locals, and the charming destination has resulted in expatriates from all over the world to relocate there. But how should you spend your holiday there? An obvious way to spend your week in the sun is at the beach, and Oludeniz blue lagoon is one of Turkey’s most picturesque and famous! Make sure you head there early as during the summer months this is very popular with tourists, and be prepared to pay a small entry fee (roughly £1.50) if you want to go onto the tip of the Blue Lagoon Beach due to the site now being a national park. All the rest of the beach is free to use. For adventure seekers there is also paragliding available at the beach to experience the blue lagoon from bird’s eye view and abundance of boat trips. Even hiring out a small motor boat to drive yourself. Make the most of Turkish bargains in the Fethiye and Hisaronu markets and experience the local culture with the opportunity to buy a range of clothes, accessories and even some fresh fruit and veg! Even if you’re not looking to spend money, having a wander around the busy stalls and a bite of some authentic street food is enjoyable enough. Remember and bargain the price with the seller. They expect you to do this and have inflated the prices slightly because they know you will try and haggle them down. Its all good fun. There are numerous day trips in the Fethiye districts – whether you get there by bus or boat! Saklikent is a favourite of tourists, one of the deepest canyons in the world and actually means ‘hidden city in Turkish. Wear some waterproof and comfy shoes and take in the natural beauty on a hike through the canyon before stopping at a restaurant on the other side. You only have a certain amount of time in Turkey, so you need to make sure you’re making the most of the cuisine and trying the most delicious versions of these authentic dishes. 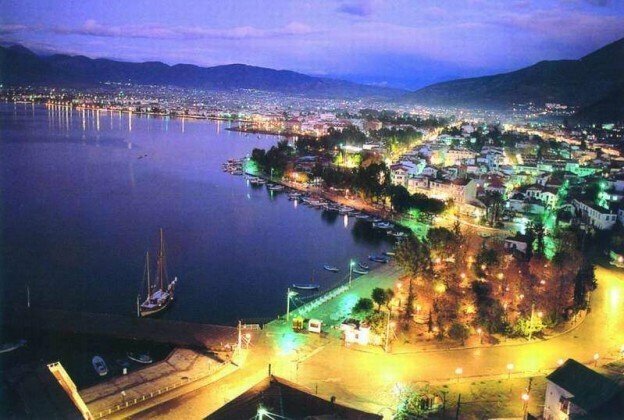 There are many traditional Turkish restaurants and tavernas in Fethiye, Ovacik and Hisaronu for you to try. Loved by tourists AND locals, the Fethiye Fish Market Restaurants offer a truly authentic Turkish experience with multiple traditional dishes to enjoy . The freshness and creative flavouring is evident in every bite, but if you plan on going on the weekend head early evening to avoid queuing! Pick your fish or sea food from the large centre section and have it cooked traditionally in one of the restaurants surrounding the main stall. Before leaving Turkey, make sure you try at least one of these – they’re delicious, trust us! PIDE: This is like a Turkish Pizza (yum), but looks like a boat shipped flat bread which you can customise with a range of toppings. KOFTE: Turkish meatballs made from ground before lamb and flavoured with traditional Turkish spices. Normally served with salad and yogurt. MERCIMEK KOFTE: Is a vegetarian meatball made from lentils, bulgar and a range of other chopped vegetables. Perfect as a starter or a main course. KEBABS: Lamb, Chicken or fish kebabs, they are all delicious. Need I say more. There is quite the range of hotels in the district, but whether you’re looking for affordable or you fancy splashing the cash there is a place to fulfil your accommodation needs Check out our own Orka Carnival Hotel on Fethiye marina or our Sunlife Resort Hotel in Oludeniz. PROPERTY: Looking for something more permanent? If Fethiye is a holiday destination close to your heart, join thousands of other Brits by investing in your own luxury holiday home here. Decorate your own dream destination that’s always waiting for you when you’re ready to jet away into the sun. Orka Homes can provide you with the perfect Property in Turkey that will suit all your needs. They have a fantastic selection of Apartments and Villas in Turkey to suit all tastes and a first class management and after sales service to make sure you are enjoying your property trouble free. This entry was posted on March 3, 2016 by Martin.